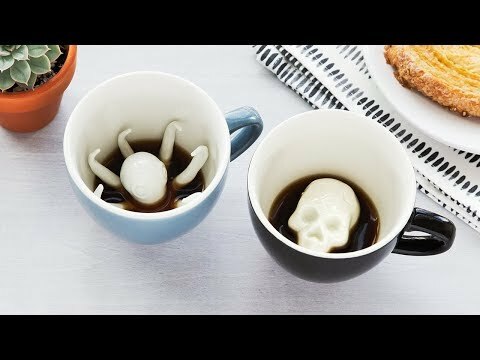 These unique coffee cups look like a high-fire ceramic mug on the outside, but with each sip you’ll discover a sometimes spooky—but mostly adorable—ceramic creature at the bottom. Creature will reduce volume 0.5-2 fl. oz. Liquid Capacity: 11 fl. oz. Dimensions: 3.13" x 3.94" x 5"
Too these to a Christmas party as a door prize. People were almost fighting over them. Very attractive and well made. Great gift idea! Well made,cute and scary but just right for all my kids Christmas lists. Can always something fun at The Grommet! 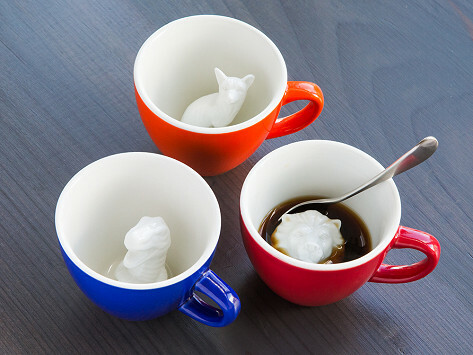 Want to surprise your coffee, tea, or cocoa drinkers? These are a hit! And they clean nicely too!